Oggi analizziamo quanto è green uno dei marchi di merendine e alimenti per bambini più conosciuti: Mulino Bianco. Le pubblicità dell’azienda, note a tutti, per la semplicità e la genuinità dei prodotti e dello stile di vita dei suoi personaggi, forse non si allontanano molto dalla realtà del Gruppo. La massima bontà, qualità e sicurezza degli ingredienti, nel costante miglioramento del profilo nutrizionale di tutti i prodotti esistenti, nel lancio di nuovi prodotti che siano in linea con i valori promossi dalla Dieta Mediterranea e nell’attenzione alla tutela dell’ambiente e del benessere animale. In questa sede, a noi di Ecologiae, interessa approfondire le pratiche per “la tutela dell’ambiente“. 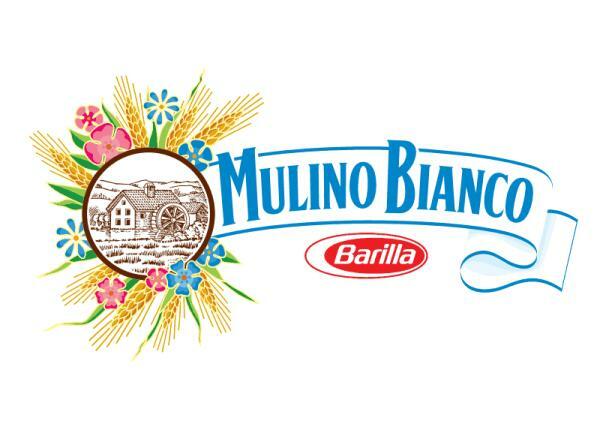 La tutela dell’ambiente per Mulino Bianco si traduce nella scelta di ingredienti selezionati, senza coloranti, grassi idrogenati e dolcificanti artificiale, non OGM. Il latto utilizzato proviene solo da allevamenti italiani e le uova rigorosamente da galline allevate a terra, alimentate solo con mangimi vegetali senza coloranti artificiali. E nell’attenzione alla natura, ed in particolare nel risparmio idrico ed energetico. Mulino Bianco dal 2004 al 2011 ha diminuito del 47% il consumo di acqua ed è attualmente impegnata a ridurre ulteriormente il suo consumo attraverso il recupero delle acqua provenienti dall’impianto di depurazione dello stabilimento di Cremona; il recupero delle acque di raffreddamento a circuito aperto a Castiglione delle Stiviere; la riduzione dei consumi attraverso sistemi automatici di erogazione dell’acqua ad Ascoli Piceno e nello stabilimento di Rubbiano, con l’eliminazione delle perdite attraverso una ristrutturazione delle reti idriche. Generare idee sugli aspetti più diversi: da nuovi prodotti a nuove confezioni, da nuove ricette a progetti di tipo sociale e ambientale. I just want to say I am just new to blogs and absolutely savored your web page. Most likely I’m want to bookmark your website . You absolutely have very good writings. Appreciate it for sharing your web page. Thank you a lot for giving everyone remarkably special possiblity to check tips from here. It really is so kind plus stuffed with a great time for me personally and my office co-workers to visit your blog a minimum of three times in 7 days to read the new stuff you will have. And lastly, I’m also certainly contented with the dazzling techniques you give. Certain 3 facts in this post are definitely the finest we have had. A person necessarily help to make critically posts I’d state. This is the first time I frequented your web page and up to now? I amazed with the analysis you made to create this actual submit incredible. Wonderful process! Thank you for every other excellent post. Where else could anyone get that type of info in such a perfect approach of writing? I have a presentation next week, and I am on the look for such info. Extraordinarily significant specifics you’ll have mentioned, thanks for publishing. We stumbled over here from a different web page and thought I might as well check things out. I like what I see so now i am following you. Look forward to finding out about your web page again. What i don’t understood is if truth be told how you are not actually much more neatly-liked than you may be now. You are very intelligent. You recognize therefore significantly relating to this matter, made me in my opinion believe it from so many various angles. Its like men and women aren’t involved except it’s something to do with Girl gaga! Your individual stuffs nice. All the time care for it up! Hi, Neat post. There’s a problem together with your site in web explorer, might test this… IE nonetheless is the marketplace leader and a huge section of other folks will pass over your wonderful writing due to this problem. Pretty alluring highlights you’ll have stated, thank you so much for publishing. I was more than happy to find this great site. I wanted to thank you for your time for this particularly wonderful read!! I definitely savored every little bit of it and I have you book marked to look at new stuff in your site. you’re actually a good webmaster. The site loading velocity is amazing. It seems that you’re doing any distinctive trick. Also, The contents are masterwork. you’ve performed a fantastic job on this subject! Hi folks there, just turned mindful of your post through Bing, and have found that it is genuinely helpful. I’ll like should you persist this. Truly entertaining highlights you have mentioned, warm regards for publishing. I’m very pleased to uncover this page. I need to to thank you for ones time for this particularly wonderful read!! I definitely savored every bit of it and i also have you saved to fav to look at new information on your blog. Highly alluring points you’ll have remarked, say thanks a lot for posting. Gday here, just turned receptive to your webpage through Bing and yahoo, and found that it’s truly interesting. I’ll be grateful in the event you continue this approach. I was pretty pleased to find this web site. I need to to thank you for your time just for this wonderful read!! I definitely savored every part of it and i also have you saved as a favorite to look at new things on your website. excellent put up, very informative. I ponder why the other specialists of this sector don’t understand this. You should continue your writing. I’m confident, you’ve a great readers’ base already! Absolutely stimulating specifics that you have stated, thank you so much for submitting. What i do not understood is if truth be told how you are no longer actually a lot more well-preferred than you might be right now. You are very intelligent. You understand thus considerably in relation to this topic, made me individually believe it from so many numerous angles. Its like women and men aren’t involved unless it¡¦s something to accomplish with Girl gaga! Your individual stuffs great. Always handle it up! Good morning there, just turned out to be alert to your writings through Bing, and found that it is really educational. I will appreciate should you decide continue on this approach. Hiya, I am really glad I have found this info. Today bloggers publish only about gossips and net and this is really annoying. A good website with exciting content, that is what I need. Thanks for keeping this website, I’ll be visiting it. Do you do newsletters? Can’t find it.